RICK HALE is an Associate Editor with Spooky Isles. A native Chicago, Illinois, USA, who has been interested in anomalous phenomena since an early age. Rick is the author of The Geeks Guide To The Strange And Unusual: Poltergeists, Ghosts and Demons. Rick, has been published in Paranormal Underground Magazine, The Supernatural Magazine, and Haunted Times. Rick can be seen in Ghost Tapes 2 and several episodes of Ghost Tapes: The Series. 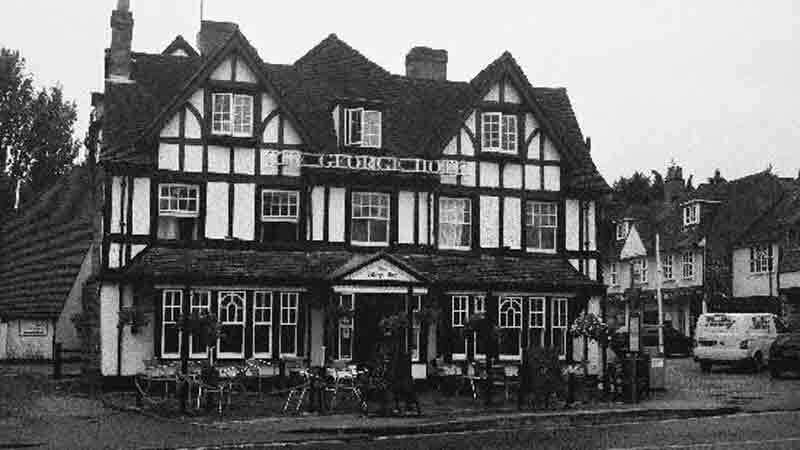 Close to the Thames walking path in Pangbourne, Berkshire is The George Hotel. 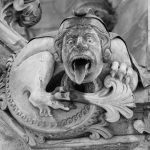 A charming 13th century hotel that is said to be haunted by the vengeful ghost of Betty Price, a woman accused of witchcraft and executed in the early years of the 17th century. Historical records show that as far back as 1293, an Inn has always stood on the grounds where the George hotel now sits. It wasn’t until the 16th century when the building was remodeled and called The George Inn. For centuries, the George Hotel was an important stopping point for people traveling between London and the west country. Being so close to the junction of the River Pang and the Thames, the cellar of the hotel had a tendency to flood. It was during one of these flooding episodes that the George Hotel gained its most enduring ghostly legend. A legend that came with a curse. According to legend, the cellar of the George Hotel flooded after several days of rainfall caused the Thames to overflow. When the owners ventured into the watery depths of the cellars to make repairs, they discovered a disturbing scene. They found a barely recognisable woman, hiding in the cellar and surviving on the rats that lived in the basement. The owners were already familiar with the woman in the cellar. She was none other than Betty Price, a local witch allegedly in league with the devil and a practitioner of black magic. The haunted George Hotel is the ideal hotel to stay when exploring the royal county of Berkshire. In England in 1603, witchcraft was a serious offence that carried with it a strict penalty, death by hanging. Price was taken into custody and put on trial for witchcraft. As expected, she was found guilty and sentenced to death. Before Betty Price was dispatched into the great hereafter, she placed a curse on her captors and the building. Following her death, her captors all perished under mysterious circumstances. And as for the building, Betty would have her revenge. Since her trial and subsequent execution for the crime of witchcraft, the vengeful ghost of Betty Price has not remained silent. Both staff and guests of The George Hotel have reported encountering the spirit of a wet and grimy woman wandering the halls of the hotel. A number of guests have called down to reception to report the mournful cries of a woman outside their rooms. While others have reported loud knocking on their doors in the middle of the night as they sleep. When they open the door to give the person a piece of their minds, they’re stunned to find the hallway empty. If Betty Price was indeed a witch, and placed a curse on the hotel, she has kept her promise to terrorise The George Hotel for all time. Why stay at The George Hotel? The George Hotel in Pangbourne, Berkshire is a charming, modern hotel that has not sacrificed it’s attractive 16th century appeal. All 23 rooms are en-suite with all the amenities you would expect from a modern hotel. The hotel’s restaurant offers an authentic Italian menu with a wide variety wines for an elegant dining experience. The George Hotel is ideally located close to the River Thames and a little over an hour west of London. Pangbourne is home to several theme parks including Legoland. You can also find several museums and sites of historical significance to explore.